The Bay View Community Center is a non-for-profit organization that serves individuals and families in southeastern Wisconsin. 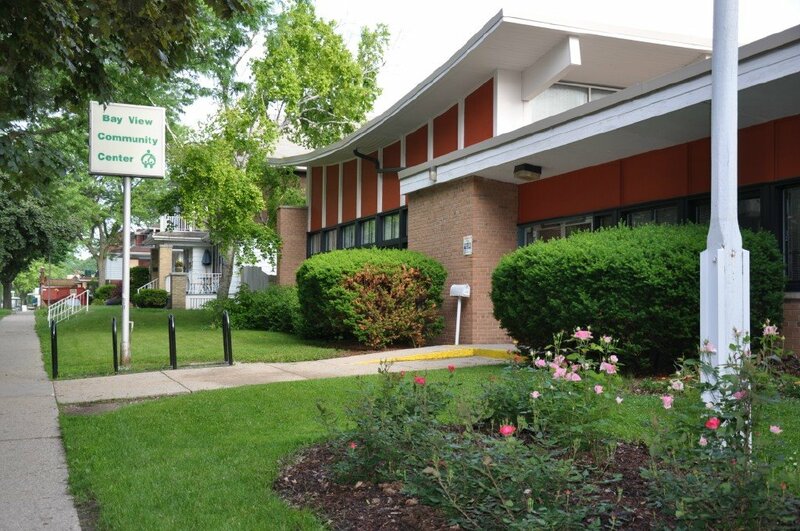 The Bay View Community Center provides a variety of fun and exciting programs including classes for children, activities for seniors, family events, and health enrichment programs for adults. Special programs, like the Emergency Food and Infant Formula Pantry, give a helping hand to those who could occasionally use it. As a non-profit organization, the Center’s success is truly a community effort. Volunteers, donors, and caring individuals are at the heart of the Bay View Community Center. The Center believes in the power each individual has to stretch beyond his or her own expectations. We strive to provide information to individuals and families that can help them make strong and informed decisions. Strong decisions lead to greater change, and that’s what makes the Bay View Community Center thrive. By strengthening our community’s greatest resource -- its people -- we help make the community a better place to live. We provide a place for individuals, families, and groups to gather and belong. In turn, they strengthen the community with a greater sense of pride. From its earliest days, the Bay View Community Center has fostered a belief in quality. The Center maintains criteria that ensure programs are worthwhile and valuable to program participants. Staff and volunteers aim to consistently provide programs that exceed expectations. The tremendous increase in program attendance throughout the years is the result of quality programming that consistently meets the needs of people in our community. When an assessment of community needs revealed that our staff alone could not sufficiently meet those needs, we decided to build a volunteer force that would function in many ways like a paid staff. Today, the Bay View Community Center is proud of its volunteer corps, which numbers more than 260 people. These hard-working individuals are nurtured and supported like paid staff. They have job descriptions and decision-making authority, are encouraged to think creatively and innovatively, and receive recognition for their service. Many of our programs are suggested, developed, and even run by volunteers. Bay View Community Center is funded partially through the cooperation with the United Way of Greater Milwaukee. The United Way provides donors with the most efficient way for them to support health and human services priorities in the community, by raising funds and investing them in the agencies that best deliver services to impact these priorities. United Way guidelines for Program Outcomes Management ensure that the donors’ funds are used wisely. Through the United Way’s Donor Choice Program donors can select the Bay View Community Center as the recipients of their gifts.